This reference and image collection was compiled by the Postgraduate Unit of Micropalaeontology at University College, London. 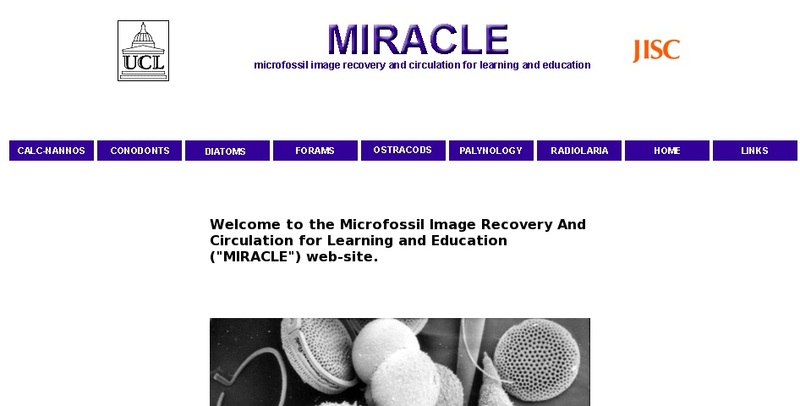 The microfossil groups discussed here include calcareous nannofossils, conodonts, diatoms, foraminifera, ostracods, palynology (acritarchs, dinoflagellates, spores, and pollen), and radiolaria. Each group is represented by its own subpage which includes a brief introduction and history of study; range and taxonomic classification; biology and life cycle; preparation and observation techniques; and a gallery of selected images.